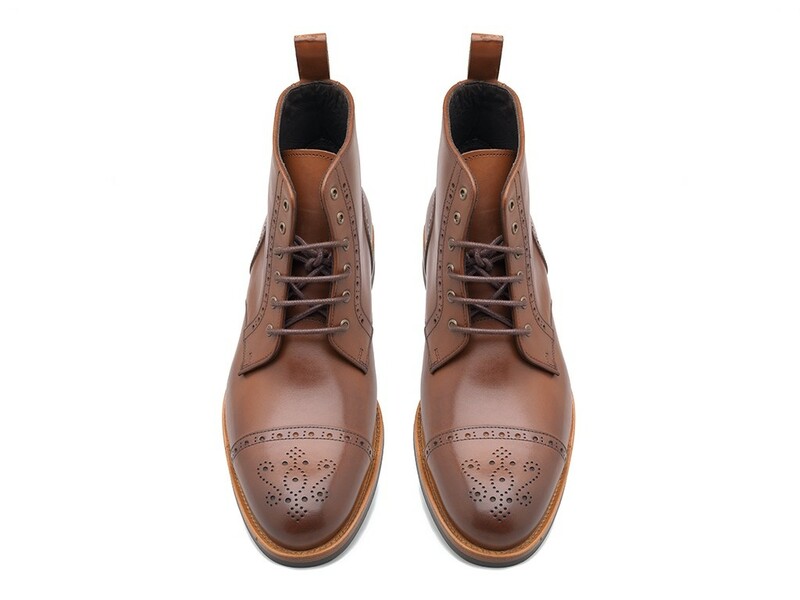 This smart tan lace-up boot will easily cross formal and informal dress edits. 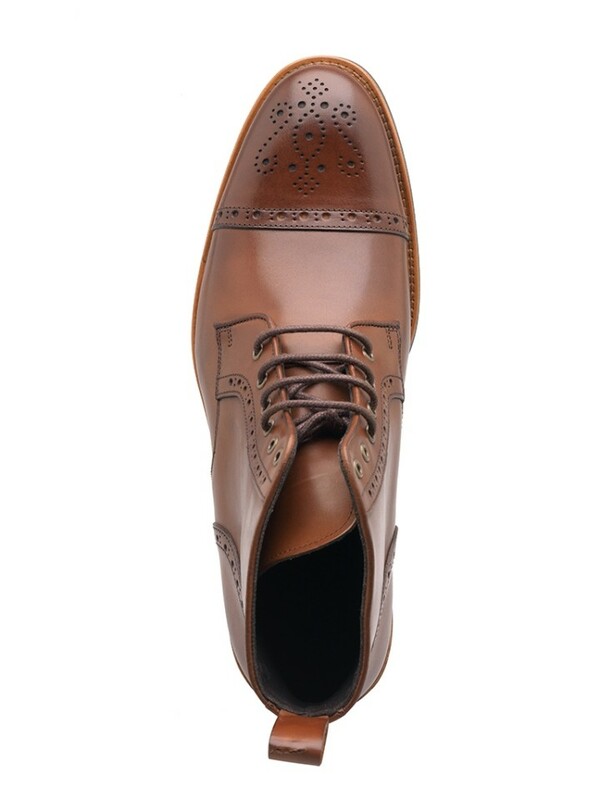 Expertly assembled by our footwear artisans, this traditional eight eyelet lace-up is trimmed with wing-tip brogueing and a stitched toe-cap. The chunky and robust rubber sole provides excellent traction for any season.